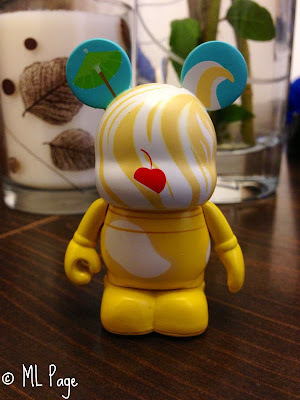 Picturing Disney: WIN A DOLE WHIP VINYLMATION!! If you didn't check out the latest fan contest here is your chance to enter! Sometimes the links are a little wonky but simply head over to the website and look under the "Followers" Sidebar. You will see the "Join this Site with Google Friend Connect" button. Here you can sign up to follow using Google, Yahoo, AIM, OpenID, Netlog, and Twitter! Follow on all accounts you have for more entries! This one links right up to your Facebook account. You can also find the link button on the "Follower" sidebar on the website! Winner will be chosen tomorrow and posted to the Picturing Disney Facebook page and Twitter!! He is sooooo sweetly cute!!! Would make a great addition to my collection :) I follow you on GFC, NB, and Twitter. Thanks for the contest! I am following on Twitter, NB and GFC. My daughter collects Vinylmations and loves Doles Whips. This would make a great surprise for her straight A Report Card. Thanks for the opportunity to enter.